“Num-weh-t’mok” Marilyn Kay Hale Wakolee, 79, Mayetta, died Tuesday, March 12, 2019, at the University of Kansas Medical Center in Kansas City. She was born Nov. 7, 1939, on the Prairie Band Potawatomi Reservation, Mayetta, the daughter of Jess (Sr.) and Alfreida Williams Hale. She attended Haskell Indian Institute, graduating in 1957, and later graduated in 1972 from Clark Business School in Topeka. Mrs. Wakolee worked at the Topeka Capital-Journal newspaper for more than 30 years as a full-time pioneer journeyman. She was active in the PBPN community and a long-time member of the PBPN enrollment committee. 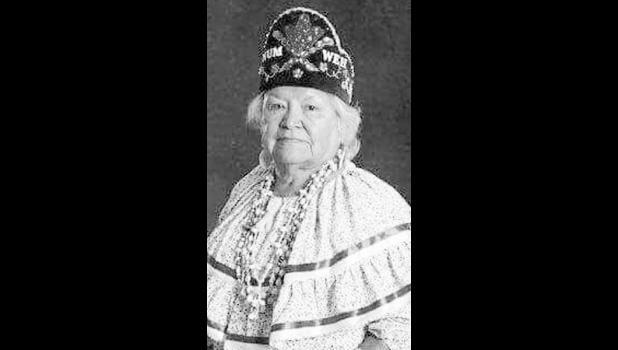 She attended Assumption Catholic Church in Topeka and was also a member of the Prairie Band Potawatomi Nation Drum Religion. She married Everett Brewer. They divorced. She later married C.L. Wakolee. They divorced. Survivors include four daughters, Pamela Brewer Pahmahmie and husband Richard, Deanna Brewer and Angela Wakolee, all of Mayetta, and Patricia Wakolee, Lawrence; two sons, Marcus Tuckwin and Anthony Royal, both of Mayetta; three sisters, Arnetta Hale, Topeka, Maxine Begay, Mayetta, and Lorene Wahweotten, Denver, Colo.; 12 grandchildren, Richele, Justin, Tamara, Daniela, Melissa, Tanner, Valerie, Bailee, Anthony, Dakota, Taylor and Cayden; great-grandchildren; a great-great-grandson; and adopted children, Peter Asselin and wife Marion, Sandra Quintana and Kabot Hale and wife Paula. She was preceded in death by her parents; three brothers, Jess “Bonsie” Hale, Leslie “Chick” Hale and Wesley Hale, in infancy; two sisters, Jolene Hale and Sylvia Hale-Smith; and a daughter, Roberta Asselin. Drum services were held Sunday at the Danceground Building on the Potawatomi Reservation. Burial was held Monday in Kennekuk Cemetery on the Kickapoo Reservation. Mercer Funeral Home in Holton is in charge of arrangements.